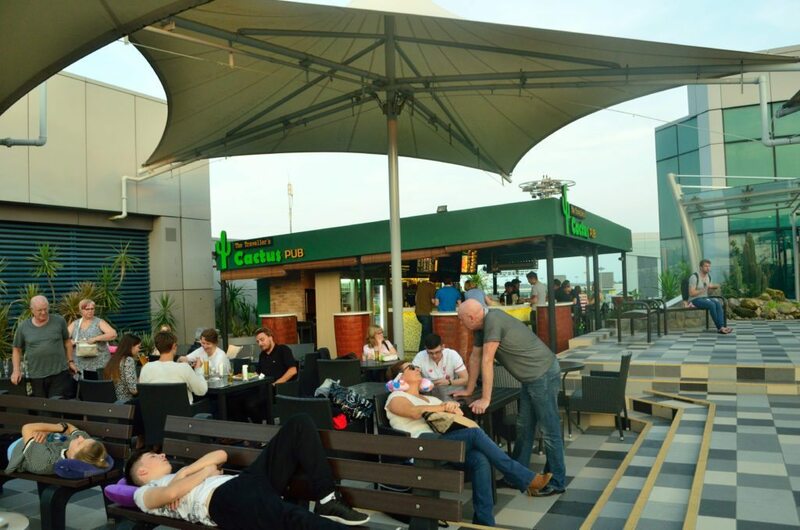 Singapore was not just my maiden international haunt – it was also my first ever transit destination. Two decades ago it was Changi airport that greeted me when I landed in this island country enroute to Australia and it has been my favourite airport since. While most airports intimidate me, Changi has always been friendly and I have seamlessly moved among terminals enjoying the sights and sounds, shopping or dining around. My earliest memory of the airport was when I did a broadcast feature on it fifteen years ago and I was amazed to find a swimming pool right inside it. A decade and a half later, Changi to me has become a destination – not just an airport. I landed almost six hours early just to take a look around and it was still not enough to experience it – from bars to spas, to shopping to entertainment. With over 350 retail stores and services spread over three terminals, there are public places where non passengers can shop besides the transit areas open only for travellers. 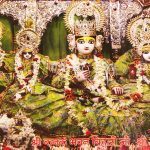 If you are a little confused about where and want to shop – fret not. 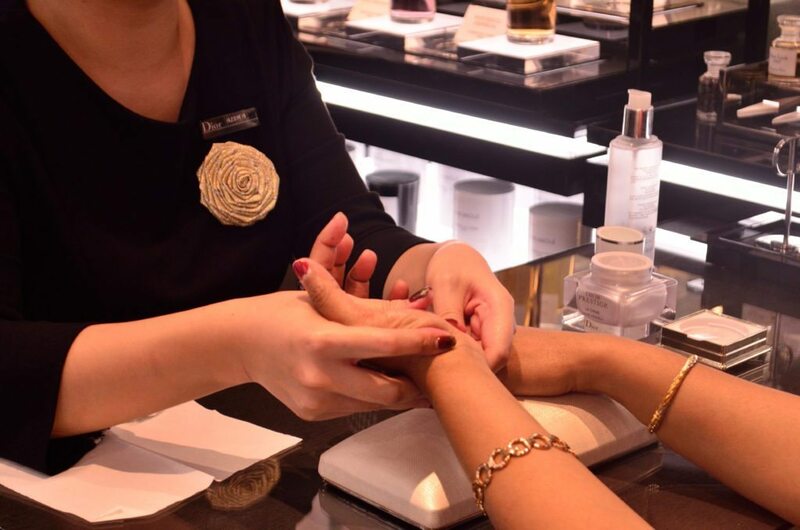 Changi will give you a personalised shopping itinerary as well as a concierge if you are lucky. I had a polite gentleman called Tripp with me who took me to all the bars and alcohol stores besides offering me valuable tips on shopping and dining here. He also mentioned that the rates here are guaranteed to be on par with those in the department stores. As I walked around, I was getting immersed in the Star Wars fever and the entire airport turned into a colourful movie set with kids and families getting their photo sessions done or playing games or just sharing their favourite Star Wars memories.Walking around I found a bit of Norway, Spain and Britain blended into the destination as these were all venues for the Star War movies. Interestingly I found several families here who are not flying as the public areas were open for both locals and foreigners . 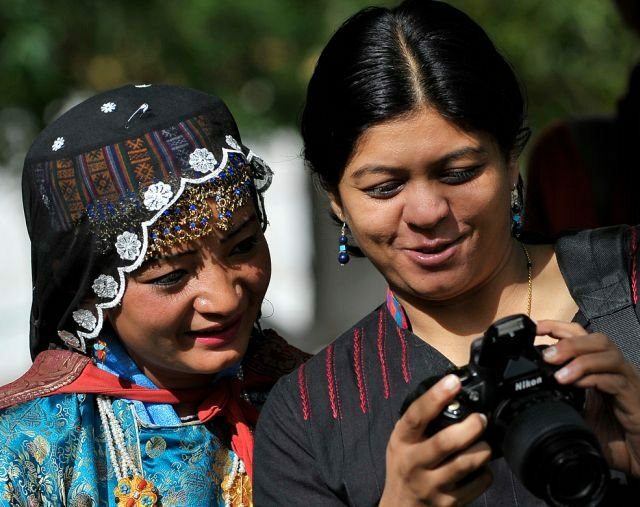 Families were not just here for the photo sessions – they were shopping and dining while kids were playing or paintings. Terminals suddenly became air -conditioned playgrounds with giant slides. Watching the kids playing around, I almost forgot I was in an airport and was transported to a different world. I was almost praying that my flight be delayed so that I could spend more time here. This is one airport, I would always want more transit time before flying away. 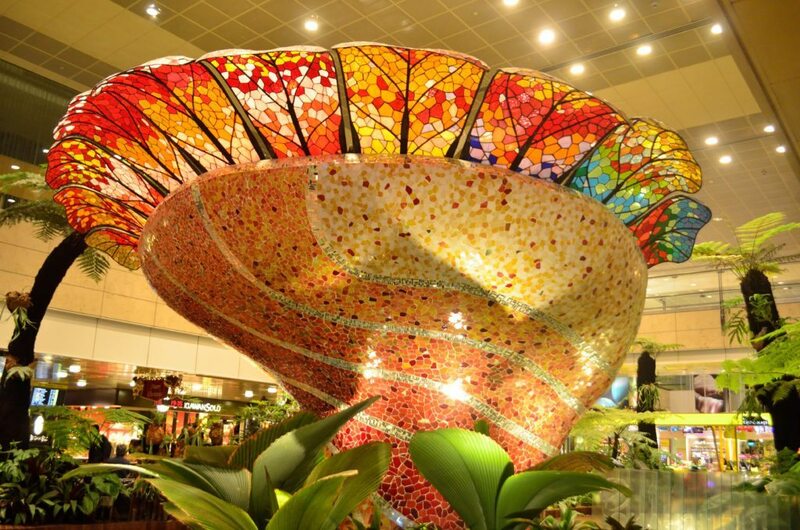 Feed the fish, count butterflies or pose against the colourful orchids or sunflowers – Changi is a green haven. 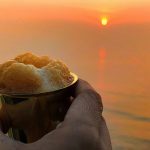 Stand in the cacti garden with a glass of beer in your hand from the bar and watch flights take off and land in the runaway or be awed by the golden sunflowers which glows even after sunset with brightly lit bamboo walkways. 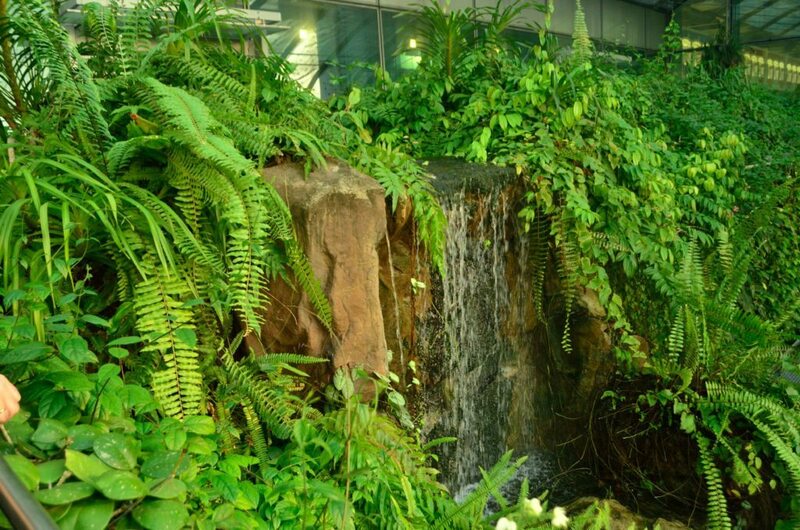 You can count over 1000 butterflies in the Butterfly garden set in a two storeyed landscape with an indoor waterfall. The first garden I visited when I landed here many years ago was the orchid garden and now I found myself in a magical Enchanted Garden where you can feel the garden coming alive. 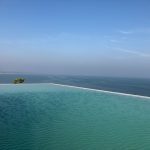 Get out of your suits and formals and jump into the rooftop pool in your bikinis or relax in the jacuzzi. The swimming pool in Changi is quite a favourite of many who want to relax after a tedious day at work or after long flights. You can shower, relax, read a book and have a non alcoholic beverage in the bar . 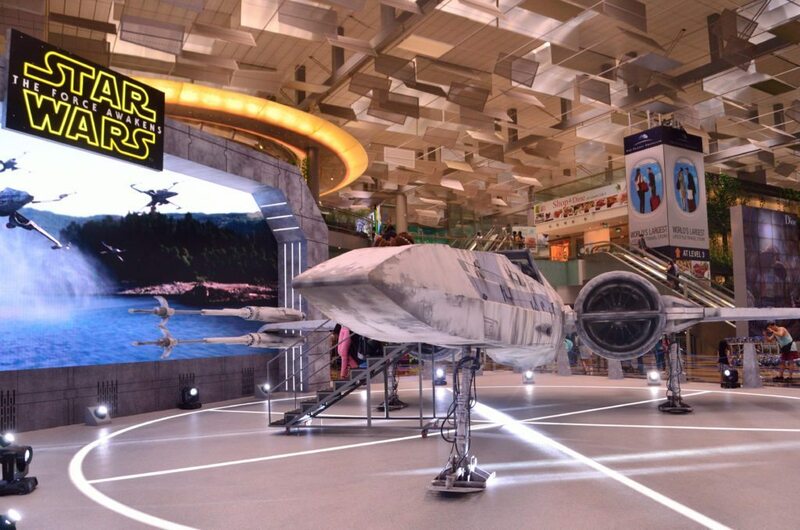 So , the Star Wars X Wing and TIE Fighter have landed at Changi and people are more interested in boarding them than their own flights. You can just forget this universe and take off on an intergalactic journey instead. 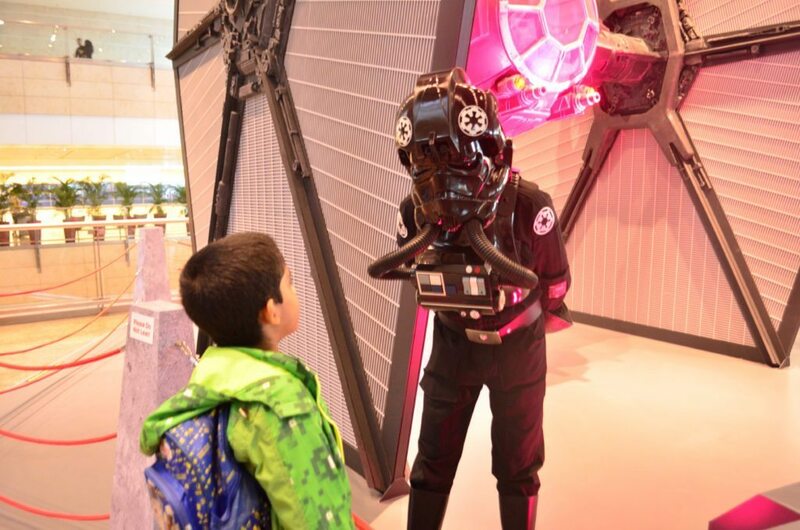 I saw kids and their parents donning the costumes of their favourite Star Wars character and posing for pictures. 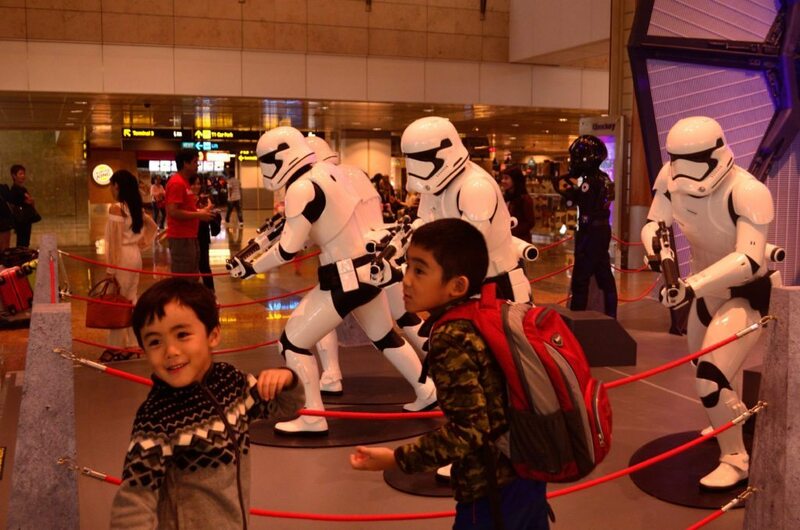 They were also taking selfies with the Stormtroopers as well in Terminal 2. The entire airport had turned into a virtual studio. Almost at every terminal you can see about Seven Stormtrooper figurines as well . 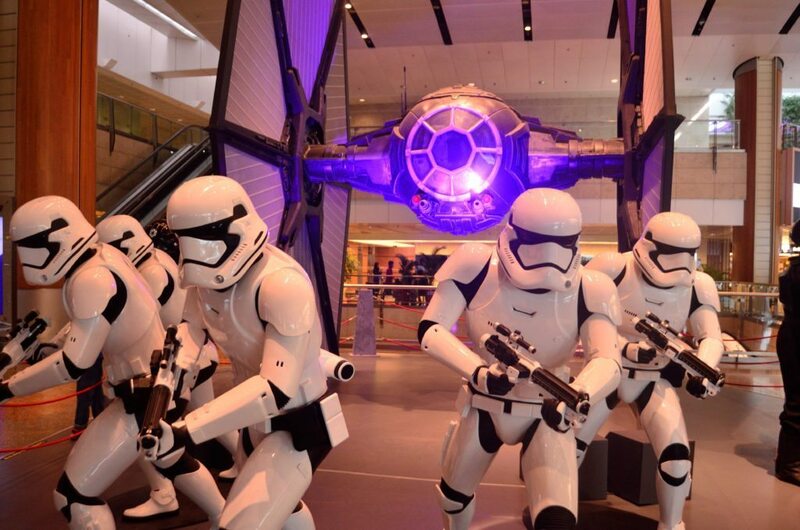 And a parade with over 30 Star Wars characters walked down these terminals during the launch. 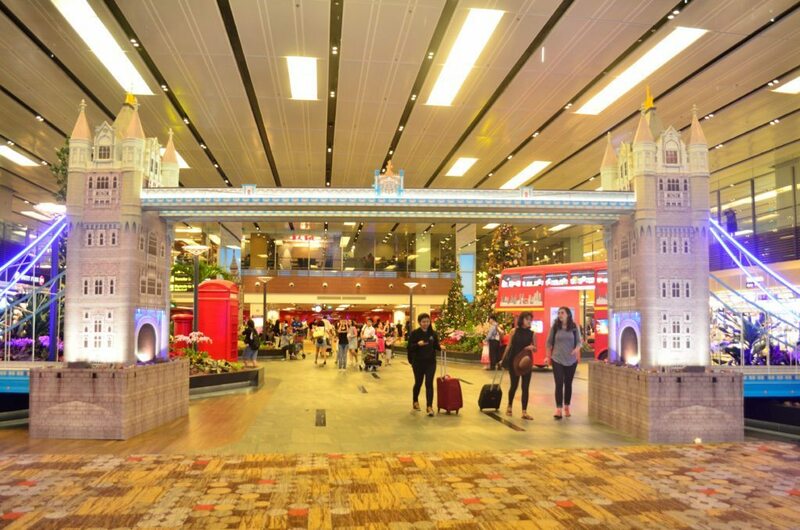 Changi airport spent over 8 months and over 30 people were involved in putting up these installations which look so larger than life. 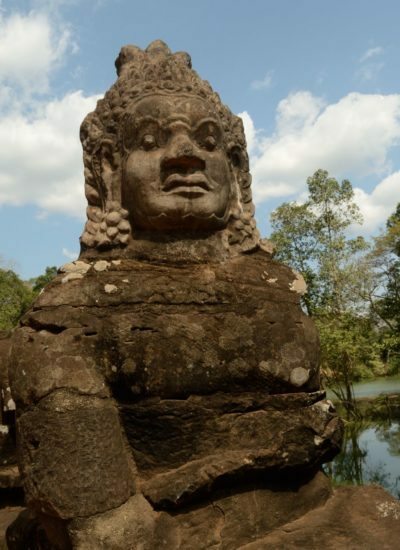 And the most interesting aspect is the way they have included destinations where the movie was shot. 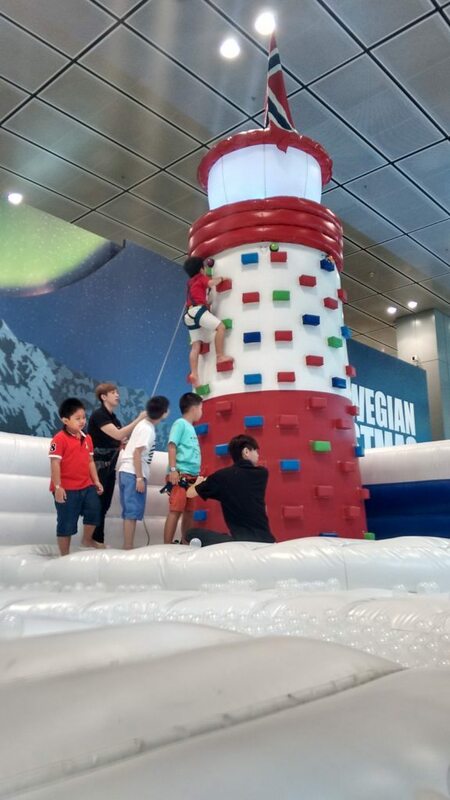 In a corner is a Norwegian Christmas celebration with kids bouncing on a playground inspired by the Hardangerjokulen Glacier with a slide, a brightly lit ball pit and even a little lighthouse which can be climbed. In another corner stands the Tower of London while the Spanish Plaza de Espana makes for a pretty picture..Sometimes I wondered if I was in Singapore. 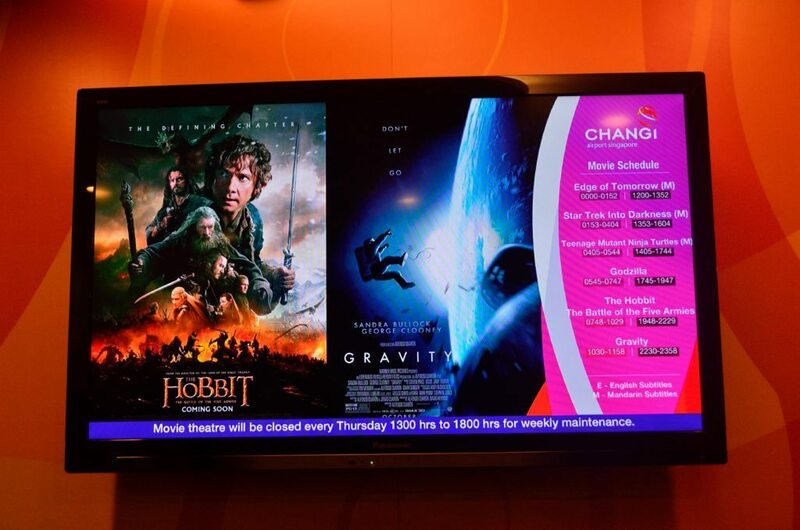 Which movie would you like to watch ? And if this virtual set of Star Wars is not enough for you, go watch any of the movies that are screened. Changi is like a luxury mall and a multiplex that I can actually park myself here and check out the latest films, shop, dine, get a massage and then finally decide to leave. 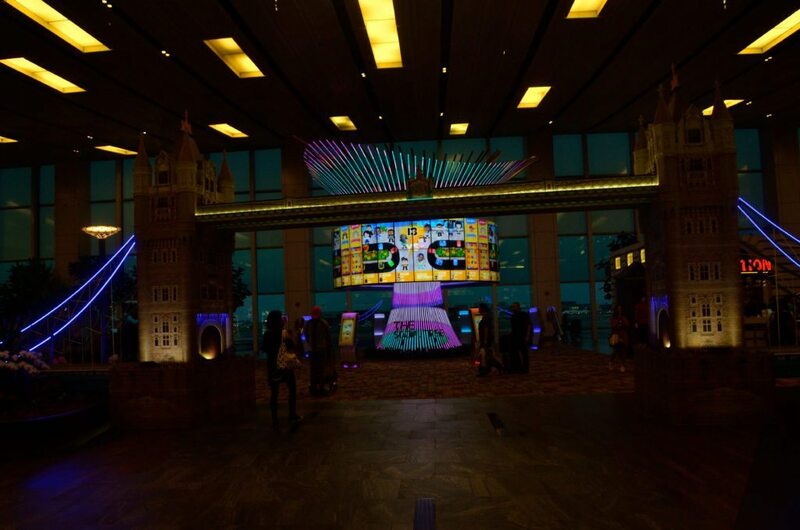 Televisions telecasting the latest shows, news and sporting events are in the terminals as well. Find a comfortable chair and become a couch potato. It has become more than just a destination for passengers to catch a flight. 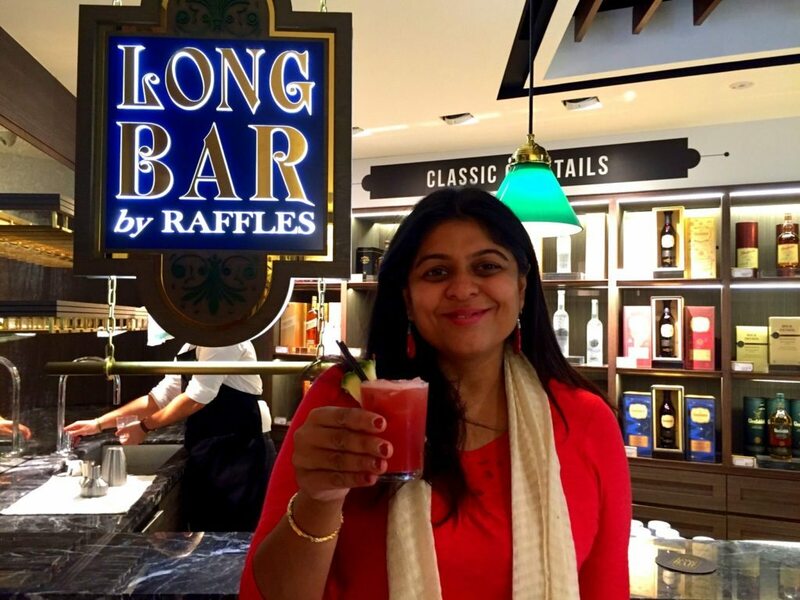 The iconic Raffles Long Bar is now at Changi giving you a free cocktail of their signature drink – the Singapore Sling. When I visited Singapore fifteen years ago, I got an opportunity to do a television show on the country and we were invited by Raffles as well. That was the first time I had this cocktail. Nostalgia flooded me when I sipped this drink again. There is a menu card here with other cocktails as well. 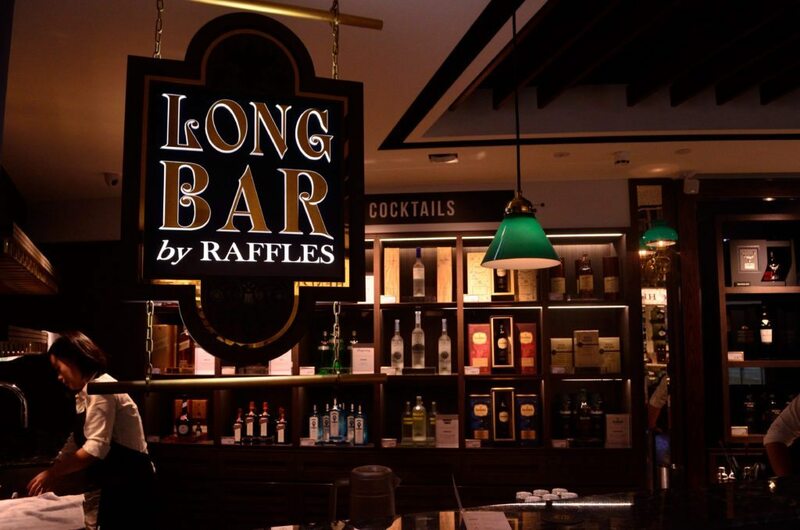 But it is not just the Raffles Long Bar. 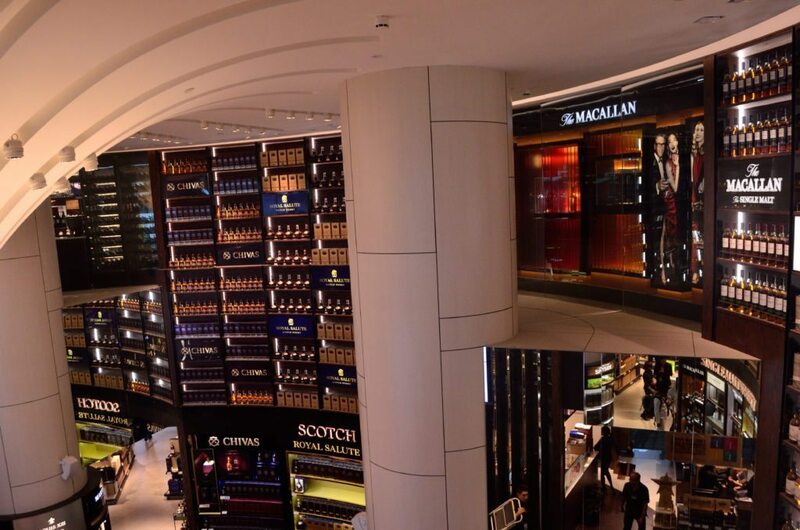 While the airport has several bars in various terminals, I headed to one of the most fascinating spirited experience at the Wines and Spirits DFS Duplex Store at T3. Spread over two levels it is not just a shop -its an experience. With the largest collections of Single Malts there are also individual boutiques for nine exclusive brands and tasting bars as well. Sip a Glenfiddich or a Macallan before buying . There is a boutique for wines as well and you can taste them all if you like. Just dont mix drinks ! In the days of internet and social media, here is an interesting installation called The Social Tree where you can share and store your photos and videos here and they become memories for you . 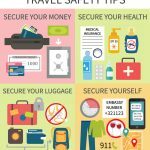 You can collect them later or on your next trip or share them on your social spaces . Interestingly there are games to be played here and every time you win, your picture flashes on the tree. Although there is free wifi, there are several internet stations which offers better speed. There are several installations here as Changi is filled with sculptures and exhibitions which are interactive as well. My favourites are the Bird in Flight which is inspired by the migratory birds and Kinetic Rain, with 1216 bronze droplets that keep transforming from one shape to another. Have more than five hours and you would like to step out of this vibrant world into the colourful city ? 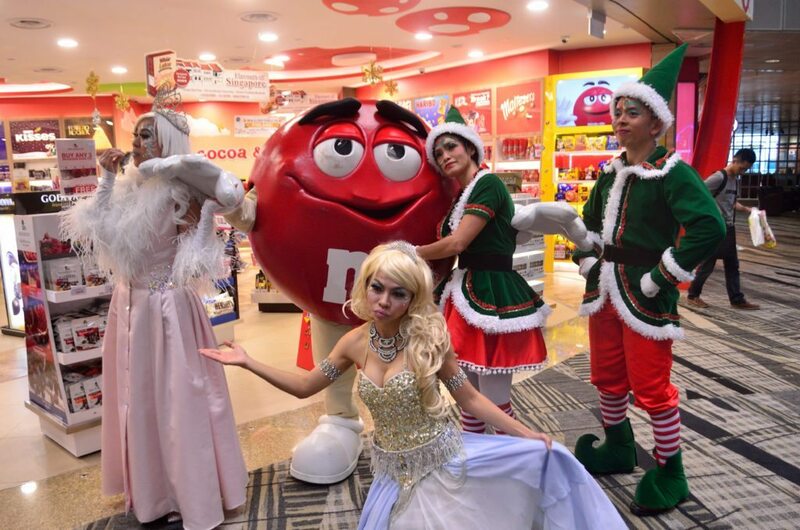 Then Changi gives you a free Singapore tour where you can see some of the iconic sights like the Merlion Park, Marina Bay, Little India and Chinatown. Too tired to step out ? 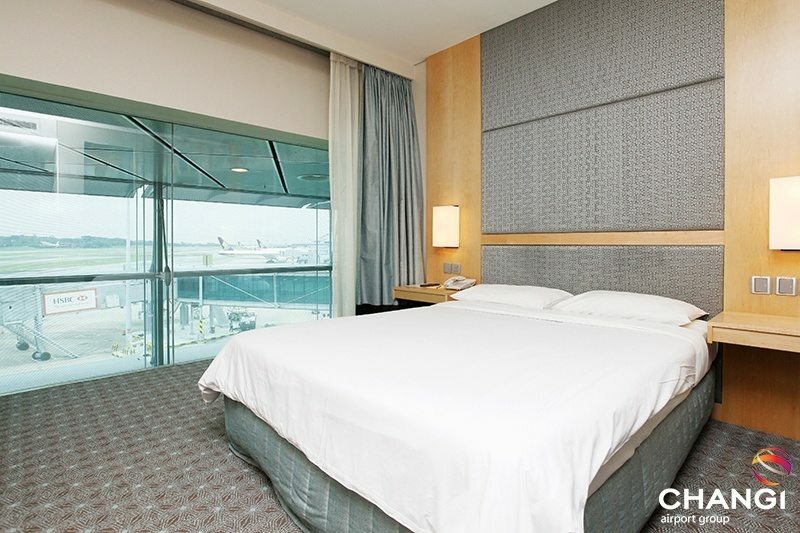 Then just check into the Ambassador transit hotel right inside the airport, stretch out the tired legs and sleep until its time to head to your departure gate. You can even get a room with a view as you can see the runaway. Besides the hotel, there is a lounge where you can rent a bed for a few hours or you can just nap away at the snooze chairs and couches scattered around the hotel. And with all these services and more, Changi is expanding. 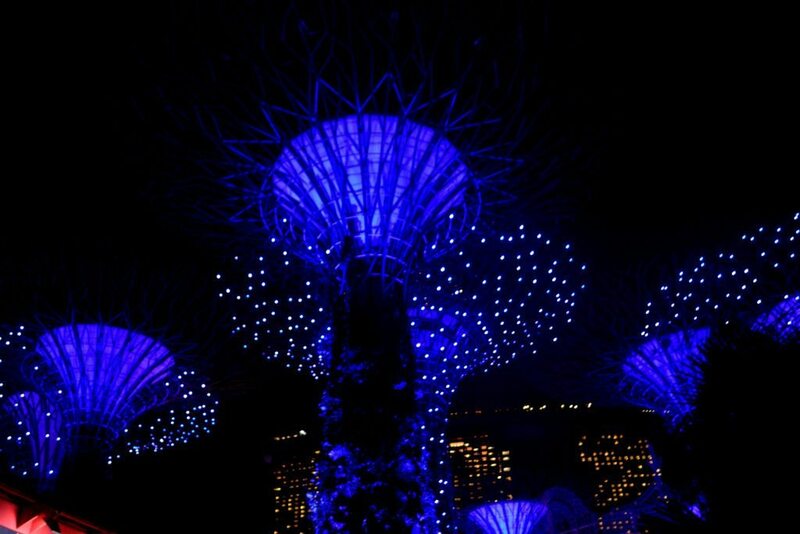 Besides Terminal 4 and Terminal 5 which are in the pipeline, all eyes are glued to the launch of the Jewel Changi Airport which is expected to be a lifestyle destination with gardens and waterfalls. While Terminal 4 is expected to come up in 2017, the Jewel Changi Airport will be ready in 2018 with five storeys of retail, dining, leisure experiences besides travel, aviation and hospitality. And you still think Changi is just another airport ? Beautiful pics and beautifully written. Feel like going there someday.